Pyrenean Shepherds, or Pyr Sheps, as their enthusiasts call them, have been herding sheep in the Pyrenees Mountains of Southern France for centuries. In World War 1, they distinguished themselves providing service to the French troops, with hundreds assisting—and often giving their lives—as couriers, guard accompaniment, and search and rescue dogs assisting in finding injured soldiers. Small, lively, and athletic, they are well suited to activities like agility and are excellent companions for active guardians. A denizen of the South, these dogs were named Catahoula Leopard Dogs after the Catahoula Parish of Louisiana where the breed originated. 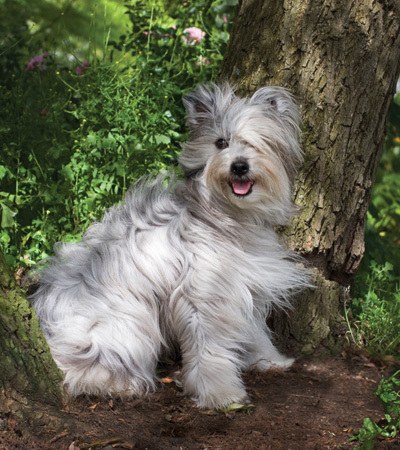 Renowned hunters, these agile dogs are, amazingly, able to climb trees in pursuit of prey. Thought to be one of the oldest surviving breeds in North America, Catahoula were prized by Native Americans for their hunting prowess. 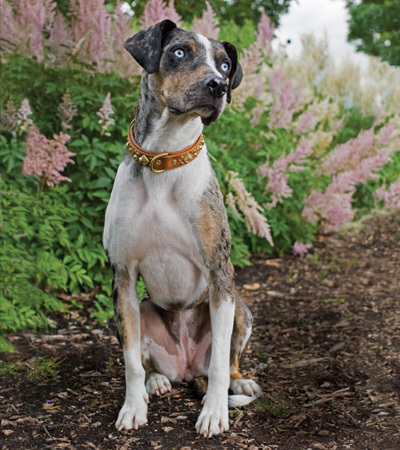 Smart, energetic, and determined, Catahoulas need a lot of exercise and, without a firm hand, will often try to take a dominant position in the household. These massive dogs, an ancient breed, are known for their imposing size—they weigh up to 150 pounds—and the loose folds of skin that cover their large frames. They can be traced back to ancient Egypt, Persia, Mesopotamia, and Asia, and were used as dogs of war in the Roman army. In this role, they are thought to have worn spiked leather harnesses to disembowel the enemy’s horses. More recently, one took a starring role in the Harry Potter movies as Hagrid’s pet, Fang, and no wonder; with its massive head, huge body, and wrinkly skin the Neapolitan is an awe inspiring figure falling just short of cinematic invention. Steady, loyal dogs, they are protective of their families and, due to their size, strength, and temperament, require socialization to ensure they are not aggressive with strangers. They rarely bark unless provoked and, as such, are renowned for sneaking up on intruders. One of the oldest breeds, the Scottish Deerhound was known centuries ago as the Scotch Greyhound, Rough Greyhound, and Highland Deerhound. It wasn’t until the 16th century that it began to be clearly identified as a breed, one that could be owned by no one of lower rank than a duke, a distinction that nearly resulted in the breed’s extinction. A keen sight hound, they were used in the pursuit and killing of deer; these superlative hunting skills are now showcased in lure coursing events. Gentle, quiet, and dignified, these dogs make excellent couch mates when indoors, but outside must be exercised with caution or in fenced areas only due to their high prey drive. 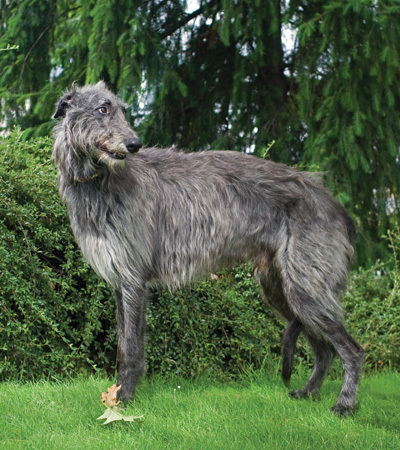 The Deerhound’s wiry coat requires little in the way of grooming and its exceptionally tall, thin, bony frame—it can weigh up to 110 pounds—cuts a majestic figure. 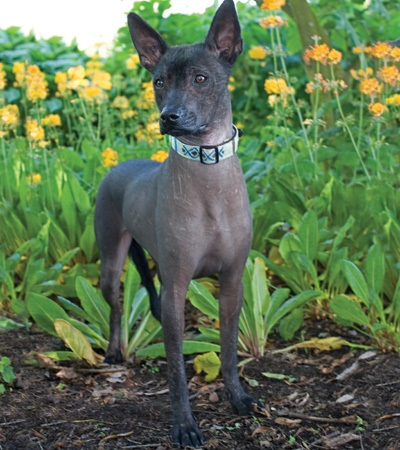 The Xoloitzcuintli (pronounced SHOW-low-eats-QUEENT-lee) is one of the world’s oldest and rarest breeds. They were worshipped—and eaten—by the Aztecs, who also sacrificed them so these ancient canines could fulfill their role as guides through the underworld. Clay and ceramic figures of Xolos date back over 3000 years and have been discovered in the tombs of the Aztec, Mayan, Toltec, Zapoteca, and Colima Indians. Modern day Xolos bear a striking resemblance to these artifacts; this primitive, natural breed has remained virtually unchanged for centuries. Its reputation for possessing curative powers persists to this day in some Mexican and Central American villages. Also known as the Mexican Hairless or the shortened form of “Xolo,” the breed was paid tribute in Frida Kahlo’s art, as well as her husband, Diego Rivera’s, who, in a famous mural in Mexico City, painted one baring its teeth at the invading Spaniards as they arrived in Vera Cruz. Two varieties exist: coated, as well as the more popular “hairless” that is without fur save for a shock of hair on the top of its head. Characterized as calm, tranquil, aloof, and attentive, these dogs range in size from 10 to 50 pounds, and are grouped into three categories: miniature, standard, and toy. 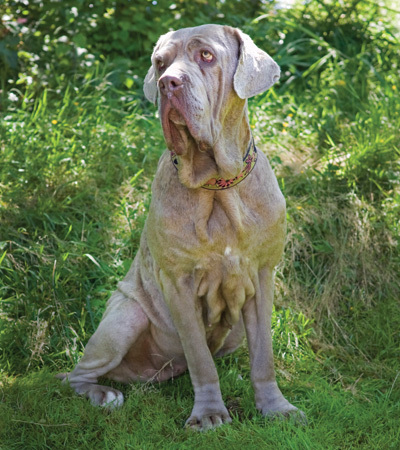 It is estimated there are currently fewer than 1,000 in the US, but the breed’s popularity may be on the upswing: just this year it made the AKC’s list of 170 recognized purebreds after a 50-year absence. 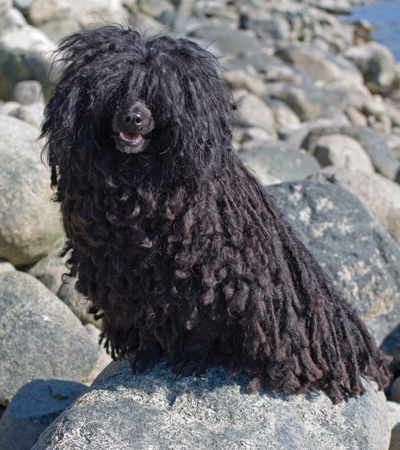 The dreadlocked Puli’s most notable feature is its mop-like coat, which naturally clumps into woolly cords, affording protection from harsh weather, providing waterproofing, and preventing shedding. The cords grow long enough to reach the ground but are often cut shorter. An ancient breed, it was introduced into Hungary more than 1,000 years ago, brought into the country by the migration of the Magyars from Central Asia. They quickly became greatly prized as flock-herding sheepdogs, working alongside the similar but substantially larger breed, the Komondor. Active, intelligent and, according to the AKC breed description “possessing an excellent sense of humor,” this medium-sized, family-loving breed requires a lot of attention and exercise. Grooming is required to keep the cords thin and clean, and thorough drying after bath time is necessary to prevent their cords from mildewing.